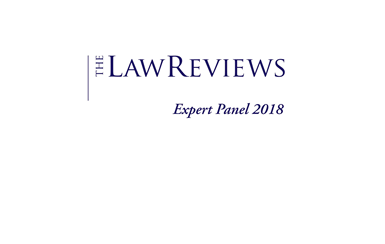 Keywords: deferred prosecution agreements, DPA scheme, white collar crime in Australia, whistleblowers, accused of a serious white collar crime. Legislators and law enforcement agencies have been fighting an uphill battle to combat corporate and white collar crime in Australia. One of the proposed methods for dealing with such crime is the introduction of a deferred prosecution agreement (DPA) scheme, based on ones already in force for over a decade in the United Kingdom and the United States. Details of how such a scheme might be implemented have been considered in the Attorney-General’s Department’s March 2017 public consultation paper Improving Enforcement Options for Serious Corporate Crime: A Proposed Model for a Deferred Prosecution Agreement in Australia. So what exactly could a DPA scheme provide that would make it an attractive proposition for Australian law enforcement in handling white collar crime? And what other options have been considered by the Australian Government? What are the key challenges for Australian law enforcement? Serious white collar crimes such as fraud, bribery and money laundering have always been difficult to detect, investigate and gather evidence on, and prosecute. This is largely due to a combination of factors including the sophisticated nature of such crimes and the fact that in many cases, the perpetrator has the ability to “cover their own tracks” (such as a chief financial officer having the option to manipulate a corporation’s records). A more recent challenge has been added by the increasing globalisation of companies, meaning that crimes are often committed cross-jurisdictionally. In addition to making it even more difficult to detect and gather evidence across borders, there could well be issues faced by Australian law enforcement when dealing with different regulatory, legal and even social environments. Given these difficulties, the primary tool utilised by law enforcement in prosecuting white collar crime is relying either on individual whistleblowers or corporate cooperation in order to obtain sufficient evidence to proceed with a case. What makes a DPA scheme a good option? Briefly, under a DPA scheme, a prosecutor can offer to defer prosecution of a serious white collar crime in return for a number of conditions being met by the defendant. Agreement for a corporate defendant to set up an internal education and enforcement program. The promise to provide cooperation and assistance while other accused wrongdoers are pursued. Somewhat self-evidently, if any of the conditions are not met, then the prosecution may be continued, or further penalties issued. The key attraction of a DPA scheme is that it is intended to encourage corporate cooperation or whistleblower reporting, in circumstances where the prospect of avoiding prosecution could be very attractive. However, the introduction of DPAs in the Australian legal framework could also bring numerous challenges. For this reason, the Australian Government is also open to exploring other potential options. At present, Australian law in relation to white collar crime operates under a combination of the Criminal Code Act 1995 (Cth) and the Corporations Act 2001 (Cth) at federal level, as well as various other laws, some of which are state based. Law enforcement Authorities are comprised mainly of the Australian Federal Police (AFP) operating in conjunction with the Commonwealth Department of Public Prosecutions (CDPP), while government bodies such as ASIC and the ACCC also have compliance and enforcement powers within their bailiwick. As noted already, the current approach to white collar crime is not achieving desired outcomes. Accordingly, the consultation paper has suggested two potential alternative measures in addition to a DPA scheme. Although Australia at present has a fairly strong regime designed to protect whistleblowers, improving the way it deals with people who come forward to “dob in” employers or other related entities may improve conviction rates for white collar crimes. Recent reviews into Australian Government departments have concluded that Australian whistleblower protections need to be strengthened, and accordingly, ASIC has set up the Office of the Whistleblower, which is designed to properly handle information received from whistleblowers and to act with sensitivity regarding the challenges faced by whistleblowers. Nonetheless, this fairly vague regime can be significantly improved on. An additional option could be creating an Australian version of the United States’ False Claims Act scheme. In the US, a third party (generally sitting in the role of a whistleblower) is entitled to bring an action against a person or a company who it believes has defrauded the government. That plaintiff can then be replaced by the American Department of Justice, which pursues the claim. Any penalties or judgment sum ordered against the wrongdoer may be partly paid towards the initial third party complainant. This might be an attractive prospect, as the consultation paper notes that in the 2013-2014 year, nearly $700 million of government-related fraud was reported. If this scheme can be implemented and expanded beyond simply the public sector, it may well have significant utility in reducing white collar crimes. It appears that the most effective way for Australian law enforcement to deal with white collar crime is to facilitate and encourage greater levels of corporate cooperation and individual whistle-blowing. As the Attorney-General’s Department’s public consultation paper states, the introduction of a DPA scheme may be a promising option to assist Authorities in detecting and pursuing white collar criminals.